With a new year comes tons of resolutions. Most people vow to lose weight with lots of exercising, but they forget to change their diet to accommodate their workouts. While a healthy diet can help shed pounds effectively, eating healthy doesn’t mean you have to deprive yourself. A healthy diet should leave you feeling energized and stabilize your mood, not to mention satisfied. With thousands of diets out on the market we recommend choosing from one of the four diets: low-fat diet, low-carb diet, low-sodium diet, and high-fiber diet. When you combine the primary principles of each of these very basic diet ideals, you get a pretty well-rounded healthful approach to eating that can be summarized as “Paleo-ish,” according to Biggest Loser dietitian Cheryl Forberg, RD. Since you are eating no grains (low carb), no dairy (lower fat), nothing processed (no added sodium), and unlimited fruits and vegetables (high fiber) it becomes strikingly similar to the Paleo, or caveman, diet. Bonnie Taub-Dix, author of Read It Before You Eat It and nutrition expert in New York, also commented on how all four diets could work well together if one chooses to eat a low–fat, low-carb, low-sodium, and high-fiber diet. 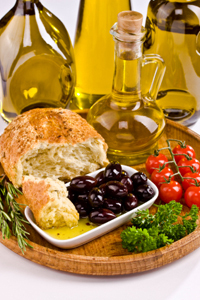 Researchers at Boston Children’s Hospital have dubbed the low-glycemic index, similar to the Mediterranean Diet, as the best diet to keep off weight without causing harmful side effects. 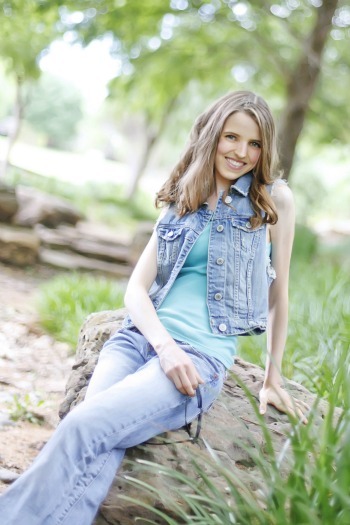 The study was lead by Cara Ebbeling who tested three different diets. The low-fat, low-carb, and low-glycemic index diet were test by 21 participants who are overweight or obese. 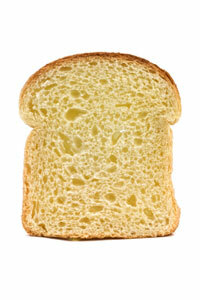 Low Fat: 60% of calories are carbohydrates, 20% of calories are protein, and 20% of calories are fat. 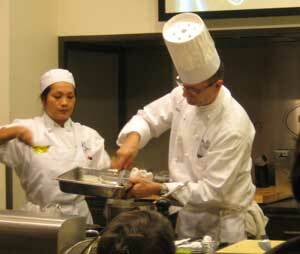 The foods included in the diet are whole grains, fruits, and vegetables. 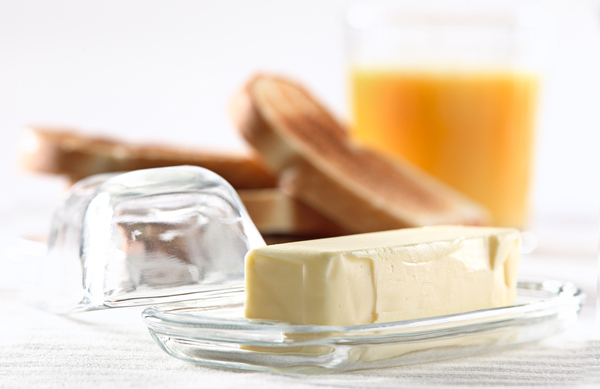 The low-fat diet reduces the amount of fatty meats, oils, nuts, and other fat products. 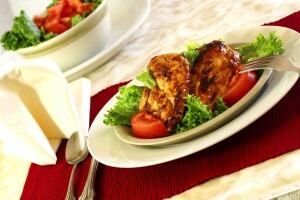 Low Carb (Atkins Diet): 10% of calories are carbs, 30% of calories are protein, and 60% of calories are from protein. Types foods included in the diet are little to no carbohydrates, high amounts of beef, chicken, eggs, cheese, and there are some fruits and vegetables in the diet plan. As recommended by the USDA, an adult should consume between 4-8 servings of carbohydrates a day, depending on their age and gender. However, according to the Atkins Diet Foundation, there’s a bit of confusion as to how many carbs that actually is and the average person’s ability to determine it. But is this even important? According to Atkins, the answer is yes. 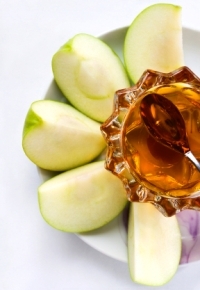 Rosh Hashanah marks the start of a new year in the Hebrew calendar. The Torah defines Rosh Hashanah as a day-long celebration, however on the Hebrew calendar, days begin at sundown. This year, Rosh Hashanah begins on September 28 at sundown and continues through the following evening. While some Jewish people only observe on one day, others observe both holidays with religious services and a traditional holiday dinner. Like many holiday meals, a Rosh Hashanah dinner is very symbolic, but can be on the indulgent side, with carb-laden kugels and challah. This year, have your honey cake and eat it too, with some of our low-fat, low-calorie and low-carb holiday recipes. Remember SnackWell’s snack cakes? Think back to the mid 90s and you might remember the distinct green packaging and popularity of their Devil’s Food Cookie Cakes. Nabisco SnackWell’s came along in 1992 and grew enormously popular as the go-to brand for low-fat snacks. Unfortunately, other brands caught on to the low calorie snack craze and forced SnackWell’s to stop advertising in 2005. Now SnackWell’s is reintroducing the brand with several new snacks that are higher in calories than the popular 100 calorie portioned snacks that are widely available. 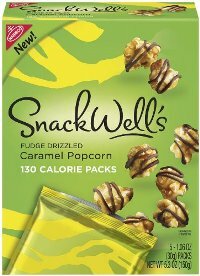 The new offerings from SnackWell’s will have a very different packaging and will vary in calories but range from 130 to 150 calories per serving. Although these snacks offer a low calorie count, all calories are not created equal. This product line is still very highly processed. The new products from SnackWell’s include Cinnamon Raisin Cereal Bars, Peanut Butter Cereal Bars, Chocolate Cereal Bars, White Fudge Drizzled Caramel Popcorn, Fudge Drizzled Caramel Popcorn, Vanilla Crème Brownie Bites, Fudge Crème Brownie Bites and Fudge Drizzled Double Chocolate Chip Cookies. A closer look at the ingredients on these new products reveals that most of them have brown sugar, sugar, maltitol syrup and corn syrup listed in the first five ingredients. They also include things like fructose, which is also a form of sugar, and partially hydrogenated cottonseed oil which is trans-fat. The products are still allowed to make the claim of being trans-fat free if they contain less than 0.5 grams per serving, which is the case with the SnackWell’s products. This new product line proves the importance of reading nutrition labels. 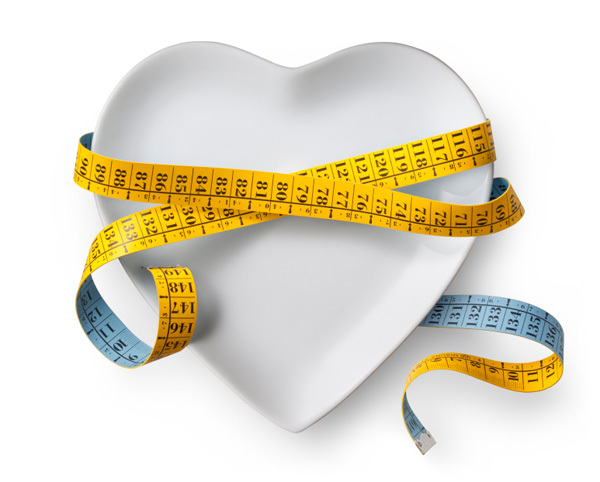 You have undoubtedly heard how important it is to maintain weight loss to avoid health problems. You’ve also heard that losing weight and gaining it back continually through fad diets or any other means just isn’t good for your health. 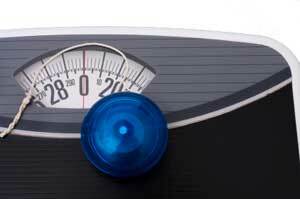 Well now there is a study that shows that losing weight and gaining it back is better than not losing weight at all. This study was done on mice, but it shows that yo-yo dieting isn’t as bad as it was once believed to be. There were three groups of mice in the study, placed into a low-fat, high-fat and yo-yo diet groups. The mice that were placed on the yo-yo diet alternated between a low-fat and high-fat diet. The mice on the yo-yo diet were healthy when they followed a low-fat diet and had higher body fat, blood sugar and body weight when they were on their high-fat rotation. Another surprising detail of this study was that the yo-yo diet mice lived just as long as the mice that maintained a low-fat diet the entire time. This amounted to about six months longer than the mice that followed only a high-fat diet. If I told you that eating less would cut your diabetes risk, you would think I’m stating the obvious. However, if I told you that the reason for this wasn’t due to weight loss, then I’d probably get your attention. According to a new study, small dietary changes, even if they don’t result in weight loss, can reduce your risk of diabetes. The researchers took 69 people who were at risk for diabetes and overweight and fed them a diet of only slightly reduced fat and carb intake for eight weeks. They were split into two groups: one with lower fat, the other lower carbs. The French master chef behind the recipes in Dropping Acid: The Reflux Diet Cookbook & Cure, demonstrated some of his creations at The French Culinary Institute in New York. Jamie Koufman, M.D., and Jordan Stern, M.D. also discussed the creation of their book. As someone who suffers from acid reflux, I know how depressing eating right for reflux can be. Not only must you cut down on many things we know aren’t healthy (like fatty foods, soda and chocolate), there are also a number of healthy foods you also should restrict, like tomatoes and citrus. However, Bauer’s dishes prove that there are many delicious things that won’t trigger your reflux. 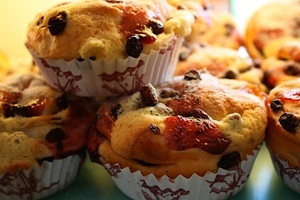 If you’re like me and have a serious sweet tooth, sometimes baked goods are just too hard to resist. But with many baked goods being high in trans fats (especially the processed ones or recipes with shortening) and low in nutrition, they’re really best eaten rarely- very rarely.